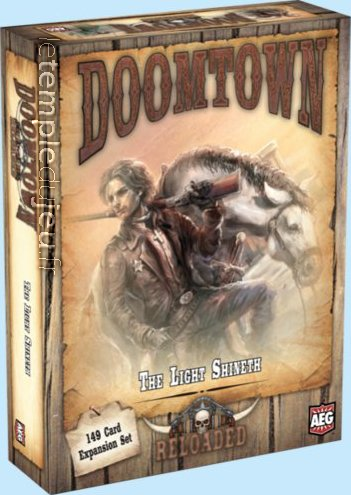 Doomtown : Reloaded – The Light Shineth is a Saddlebags expansion that can be added to your Doomtown : Reloaded base set to inject new mechanisms and new strategies into your decks ! So get ready partner, are you ready for your showdown at high noon ? ATTENTION ! Ceci est une extension pour DOOMTOWN RELOADED (BASE) !